What can dendrites compute? How do they do it? And how are these computations used for behaviour? We are attacking these questions using a combination of experimental and modelling approaches. 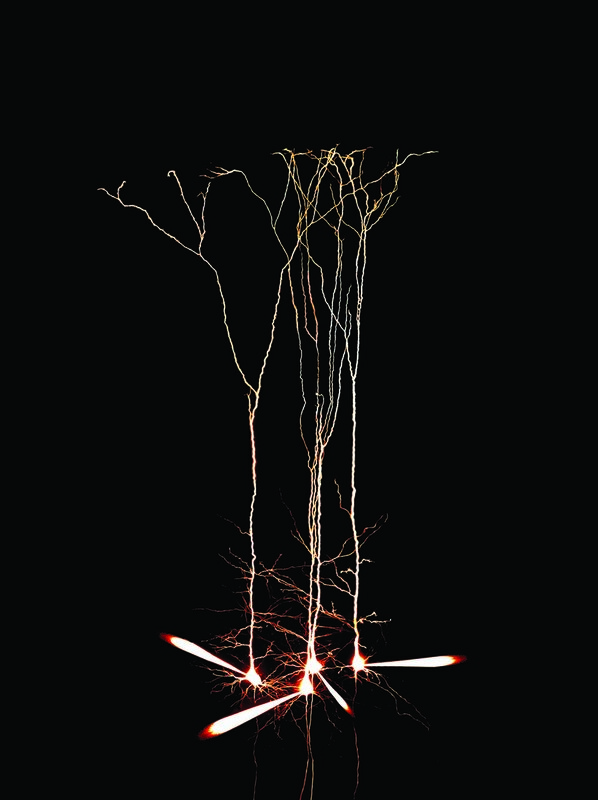 Two-photon glutamate uncaging experiments and patch-clamp recordings in vitro are being used to define the biophysical toolkit that enable dendrites to perform elementary computations. Imaging and recording from dendrites in vivo allows us to determine how these computations are harnessed in behaving animals. Finally, theoretical models of dendritic function are being used to provide a quantitative description of dendritic computation, as well as experimentally testable predictions. The circuitry of the cerebellar cortex is both remarkably simple and highly organized, providing a unique opportunity to understand the relationship between the structure and function of a neural circuit in the mammalian brain.. We are taking advantage of the accessibility, genetic tractability and rigorous architecture of the cerebellar cortex to test longstanding theories of how the elements of cerebellar computation are mapped onto its structure. What is the cortical code? Answering this question will allow us to understand not only how the cortex processes and stores information, but also how these processes are altered during development and disease. We now have an unprecedented opportunity to crack the neural code used by the cortex with the advent of new tools for recording and manipulating the activity of genetically defined population of neurons in the cortex. These tools are being applied to barrel cortex and visual cortex to identify the principles governing sensory processing in head-fixed mice performing behavioural tasks.